Veterinarians – Pets On Wheels of Scottsdale, Inc.
Pets On Wheels of Scottsdale, Inc. The fifteen (15) Veterinary Clinics listed below, have assisted the Pets on Wheels program by contributing their time to give health examinations to the volunteer pets. 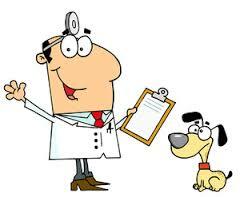 These dedicated veterinarians certify the health of the pet as it begins in the program and annually thereafter. The contribution consists of the veterinarians time to make the examination, but excludes any inoculations, medication, or other treatment provided. Most of the clinics have supported the program since its inception. Each Clinic title is linked to their respective websites.